Nashville, Tenn. (May 20, 2014) - The 2nd Annual K-LOVE Fan Awards has added to its already star-studded show lineup, announcing several additional performers and presenters for the June 1 show set to take place at the Grand Ole Opry House. Performers added include an eclectic mix of talent including Switchfoot, Natalie Grant, Mandisa, Crowder, Casting Crowns, Matthew West, Newsboys, Building 429, Jamie Grace, Big Daddy Weave and Phil Wickham. Those slated to present include Amy Grant, Roma Downey of Son of God, CBS College Basketball Analyst Clark Kellogg, Shane Harper of God's Not Dead, Auburn University Head Football Coach Gus Malzahn, Kari Jobe, New York Times Bestselling author Ann Voscamp and Southeast Christian Church Pastor and author Kyle Idleman. Previously announced performers for the evening include Chris Tomlin, Hillsong UNITED, Steven Curtis Chapman, MercyMe and Francesca Battistelli. Dancing With the Stars® finalist Candace Cameron Bure and ASCAP's reigning Christian Music Songwriter of the Year Matthew West are set to host the show at the Grand Ole Opry House Sunday June 1. The Fan Awards weekend will start off with a bang on Friday night as Switchfoot and NEEDTOBREATHE headline the official Weekend Kickoff Concert, which also features Tenth Avenue North, for KING & COUNTRY and Rend Collective. At the first ever K-LOVE Fan Zone, fans will be able to walk through Jeremy Camp's tour bus, watch celebrity basketball games, meet their favorite artists at autograph sessions and more. Steven Curtis Chapman will host the new Songwriter's Spotlight to close out Saturday night. Sunday will start with Michael W. Smith holding a special Worship Service at the Opryland Resort. 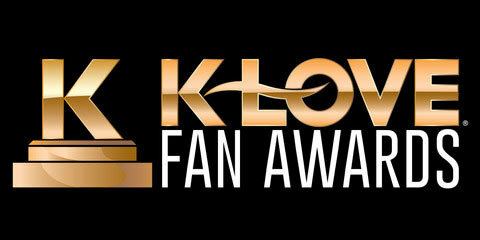 The events of the day will lead to the official K-LOVE Fan Awards Show nearby at the Grand Ole Opry House.